I have a confession to make, A lot of new products pass through Her Quarters, because of my blog I’m lucky enough to try them out and share my thoughts with you. Some I love and others I loathe but I choose not to bring light to the latter and keep this space a happy positive place. One brand that blows me away every single time is MOR. From their lavish packaging to their finely blended formulation, the hopeless romantic in me is in love! 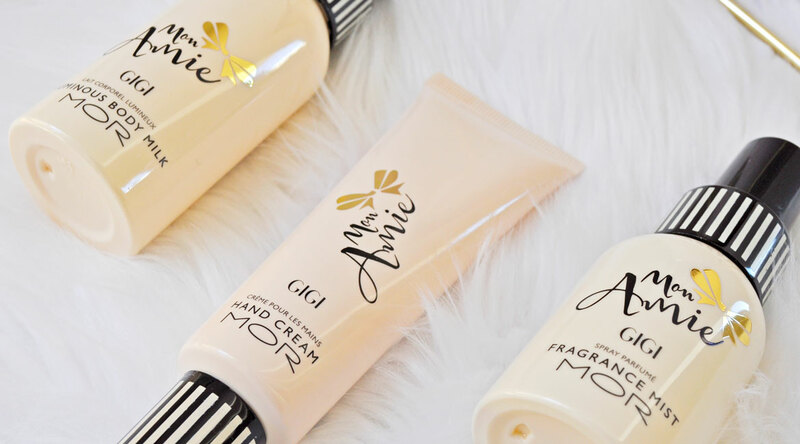 Being someone who had studied French in school for 6 years I was super excited about their Mon Amie collection, not only is it très chic but the entire range is purse sized aka super affordable. There are 5 unique fragrances to pick from: Adèle, Cècilia, Monique, Rosalie, and Gigi each Mademoiselle exudes a unique personality to suit your style. Gigi is a timeless sensation fresh sweet and utterly irresistible, ideal to spritz for romantic dates or Friday night drinks with workmates. With a fragrance consisting of fresh Fig and Red Berries which sit upon a base of warm and woody Cedar Wood, can you imagine how enticing it would be? You can spray it on your wrists, neck, hair or anywhere your heart desires! Oh, Oui Merci! The rich texture of this hand cream soaks into my skin and isn’t greasy at all, it smells absolutely divine and has earned a permanent spot in my handbag. It is enriched with Shea Butter and Sweet Almond Oil and Vitamins A, C & E to protect, soothe and nourish the skin leaving hands feeling soft and reinvigorated. The ultimate luxury is the best way of describing this sweet smelling body milk, for those of us with dry skin, it will ensure ideal hydration. It has a convenient spray dispenser which is easy to use, perfect for the busy woman on the go. The formula is velvety smooth, lightweight and fast absorbing. I like applying it in the mornings to replenish moisture, it leaves my skin illuminated and radiant giving it a beautiful glow which lasts all day. Have you picked up anything from this collection yet? *Disclosure: I received these products in exchange for an honest review. All opinions expressed and the choice to review is 100% my own! Hi, Amy! I always look forward to reading your posts. I would love to try that hand cream, but I don’t think I can get it here in the US. Keep up the great work. I just love the packaging of this brand it is so “girly” and cute. Great post! They are so pretty and chic! Their product range is stunning! 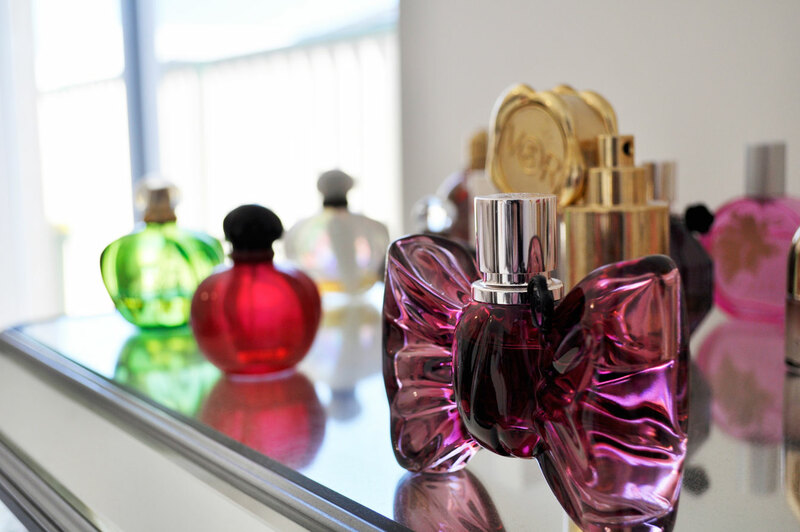 I’ve been really wanting to pick one of these fragrances up! They smell so delicious! I agree, I would love to try more!